During flights over the eastern United States in the summer of 2016, the Atmospheric Carbon and Transport - America (ACT-America) mission measured column-average carbon dioxide concentrations at 0.1 second frequency using Multi-functional Fiber Laser Lidar (MFLL). 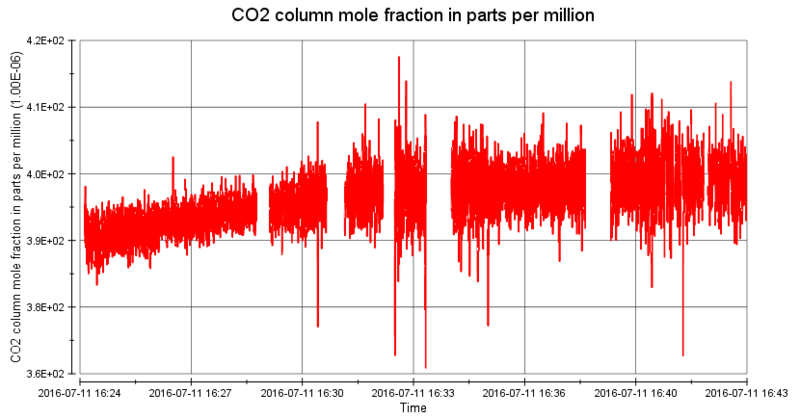 The resultant dataset includes carbon dioxide column mole fraction in parts per million, instrument channel amplitude, and in-flight aircraft information. The ACT-America project is a NASA Earth Venture Suborbital-2 mission to study the transport and fluxes of atmospheric carbon dioxide and methane across three regions in the eastern United States. The mission will advance society’s ability to predict and manage future climate change by enabling policy-relevant quantification of the carbon cycle.